It's Sunday Morning In Reedville VA, Woody Boater Heaven. Woke up this morning after a late night of fireworks over the water and a nice parade. Reedville Virginia celebrates on the Sat.. All the boats go out to the harbor and watch the fire works overhead from 3 different locations. It’s a magical experience. 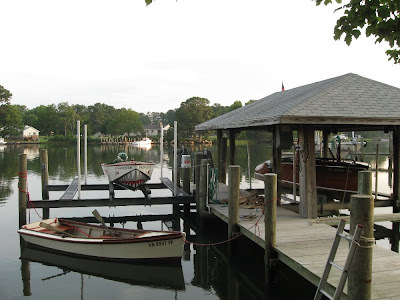 Reedville’s history is rich in fishing and the world that surrounds that. One of the nice parts of that history is the countless wood fishing boats. We are blessed with many boat builders and folks that appreciate fine wood work. Most of the homes here date back to the early 1900’s so there are some times while out on the water that you forget what what time of day it is, for that matter decade it is..
Reedville Classic Boat Show Breaks Record!